Open FRAGRNT or FRIGITD form. Enter G# and hit Next Block. To access the documents that have been stored electronically, click on the Banner BDMS Solutions button. Click on the Open Document button for the document you wish to view. SPA adds notations to help navigate through the documents. Documents are images and are not searchable. Logout – log out before closing the window. 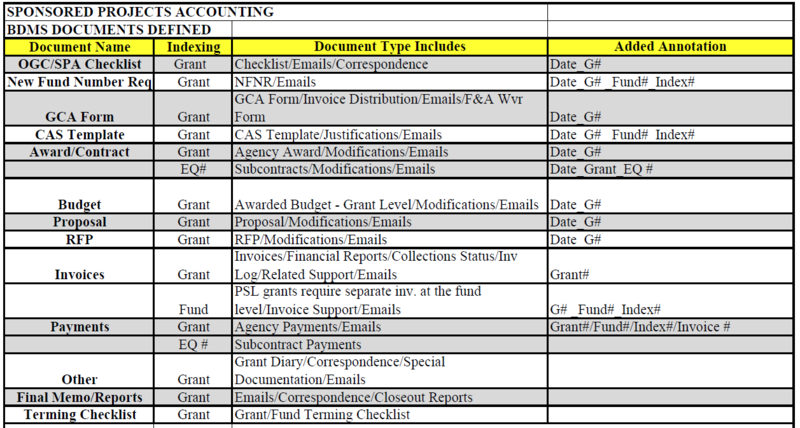 Query Results – go back to the list of documents for the grant. Previous Page – go back to the previous page of the current document. Next Page – go to the next page of the current document. Print Current Page – print the page currently displayed. Print Document – print the entire document that is currently open. Right Click on B-F-GRNT-BANNER FINANCE GRANT. Enter query item in the Search Value field. To select the fields you want to see in BDMS, check the boxes on the right hand side.